News & Events How Does OFX work? OFX is one of the leading cross border payment providers that was founded in 1998. It was formerly known as OzForex, started by Matthew Gilmour in Sydney Australia. OFX provides global money transfer that is secure and cheaper than the banks for individuals and businesses. With OFX’s low fees and low margins, 24/7 support, and nearly 2 decades’ experience in the business, it has been awarded multiple times. One of these awards was an outstanding 5-star rating by Canstar – the biggest online finance comparison site with expert ratings in Australia. Create an account – Registration is free and could only takes not more than 5 minutes. After filling out the form, an OFX team member will call you to complete the setup and answer any questions if you have any. Send OFX your funds – after confirming your transfer, an email will be sent to you with a Customer Reference number in it and OFX’bank account details for you to send the money to. OFX will then deliver your transfer – you’ll receive a confirmation email when the funds have been deposited into the recipient’s account. Single Transfers: Also known as Spot Deals or one-off money transfer. Spotted a great exchange rate? Lock it in, send your funds, and OFX will do the rest. It is secure, fast and simple. Recurring Transfers: Say you’re paying a mortgage internationally; monthly payments are easy with OFX. With this tool, you’ll only need to schedule the transfer and OFX will help you pay your mortgage internationally on time via direct debit and automated transfer schedule. Forward Exchange Contract: This allows customers to lock in a rate today for up to 12 months to protect them against significant currency fluctuations. Limit Orders: Eyeing a specific rate? Set a target and OFX will watch for your desired rate, 24 hours a day, 5 days a week.Once your target has been reached, OFX will notify you to complete the transfer. Personal: Send money at home, invest a property abroad and pay your mortgage internationally, pay for your international study fees, pay for luxury goods bought online, or maybe transfer money when you move overseas. Business: Pay your overseas suppliers or overseas staffs. At OFX there is one standard fee of AUD 15 if you’re transferring under AUD 10,000. If you’re transferring more than AUD 10,000, there is no transfer fee. offering 2 Free OFX Coupon Transfers on Signup! 24/7 Customer Support. 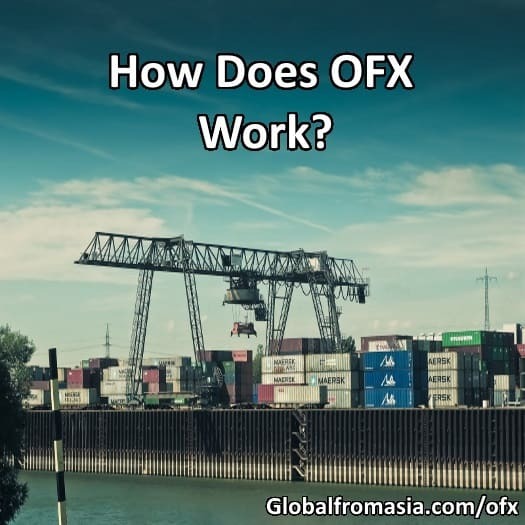 OFX has Global support team in Australia, USA, UK, Canada, New Zealand, Hong Kong and Singapore. OFX isn’t the fastest money transfer provider. “Good service, great rates, but the experience could be improved. Still, there is still a room for improvement for OFX, like maybe speed up the transfer process and offer more currencies. For this we rate OFX a 4 out of 5 stars ?